This article was updated at 4:10 p.m. Eastern Time on Aug. 17. 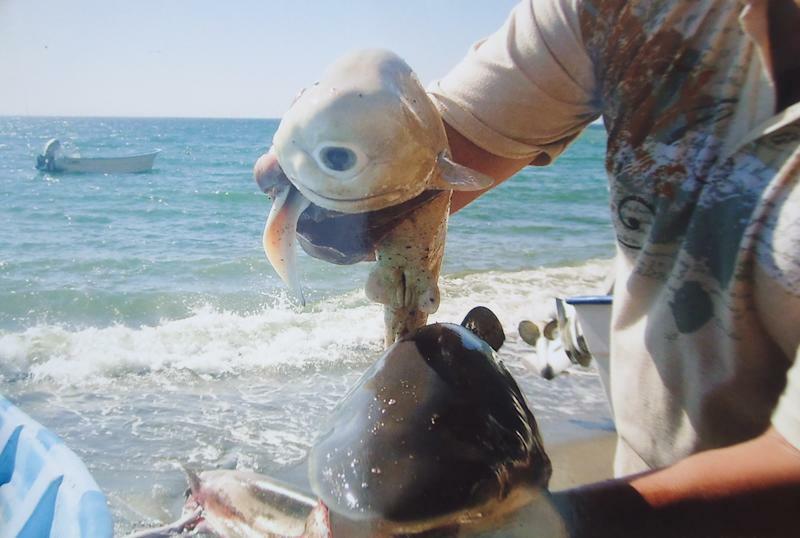 Pisces Fleet, a sportfishing company, rocketed the Cyclops shark to viral status online this summer with their photos of the creepy-cute creature. But this isn't the first time that reports of a mythical-seeming creature have spurred media sensations — last week alone, Russian officials announced "proof" of a Yeti, and paleontologists spun a theory about an ancient Kraken-like squid. Few reports of mythical beasts, however, come with proof. The Cyclops shark is an exception. 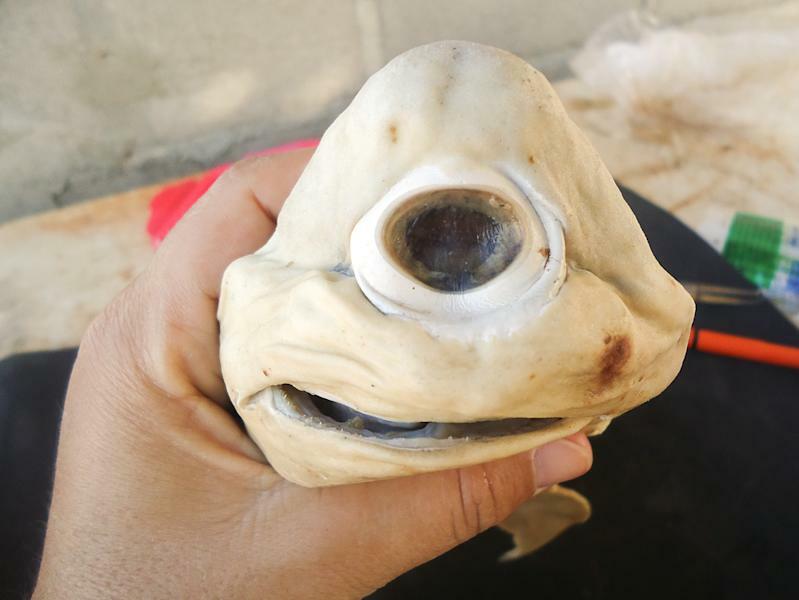 While rare, "cyclopia" is a real developmental anomaly in which only one eye develops. Human fetuses are sometimes affected, as in a 1982 case in Israel reported in 1985 in the British Journal of Ophthalmology. In that case, a baby girl was born seven weeks early with no nose and only one eye in the center of her face. The infant, who lived only 30 minutes after birth, also had severe brain abnormalities. In 2006, a kitten born with one eye and no nose (a rare condition called holoprosencephaly), created a stir online as news organizations and bloggers tried to determine if the bizarre photos of the animal were real. A veterinarian confirmed the kitten's condition; "Cy," as the cat was known, lived only a day. The remains were sold to the creationist Lost World Museum. 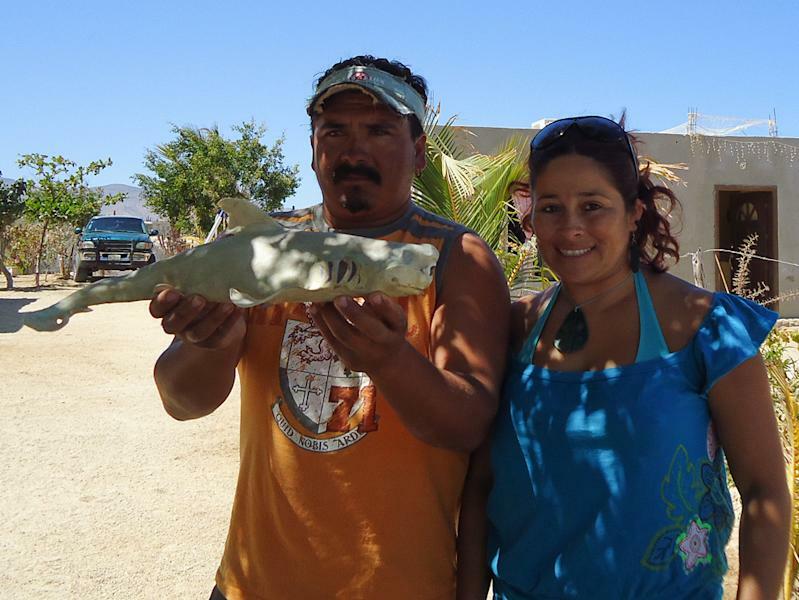 Romans told LiveScience that the fisherman who caught the strange shark is "amazed and fascinated" by the attention his catch has drawn. It's not the first strange shark fetus Galvan Magana has found; he and his colleagues discovered two-headed shark embryos in two different female blue sharks. It's possible that one embryo started to split into twins, but failed to completely separate because of crowding in the womb, the researchers reported in January 2011 in the journal Marine Biodiversity Records. Another recent report of a cryptic creature comes without the benefit of photographic evidence. Nor do the monster-hunters in this scenario have a body to display. That's because the discovery is of an alleged "kraken's lair," a spot where 200-million-year-old ichthyosaur bones mingle in odd patterns. Paleontologist Mark McMenamin reads these patterns as evidence of a giant, ancient squid-like creature playing with its food, and he said as much on Oct. 10 at the annual meeting of the Geological Society of America. Supporting his claim, he said, is the fact that even today Pacific octopus, which are also cephalopods like the ancient "kraken," have been seen taking down sharks. Other researchers responded that McMenamin was seeing what he wanted to see in the patterns. "To my mind, this hypothesis is like looking at clouds — being able to see what you desire," Glenn Storrs, the curator of vertebrate paleontology at the Cincinnati Museum Center, told LiveScience. The 1816 "Universal Dictionary of the Arts, Sciences Literature, Etc.," (advertised as "intended to supersede the use of other books of reference") defines the kraken as "a most amazing large sea animal," said to be "of a crab-like form." "Its back or upper part, which seems an English mile and a half (some have affirmed more), looks at first like a number of small islands, surrounded with something that floats like seaweeds," the dictionary author writes. "At last several bright points of horns appear, which grow thicker the higher they emerge, and sometimes stand up as high and large as the masts of middle-sized vessels. In a short time, it slowly sinks, which is thought as dangerous as its rising; as it causes such a swell and whirlpool as draws everything down with it." October's most recent cryptozoology report comes courtesy of Russia, where researchers claim to have found "indisputable proof" of the yeti, a hairy ape-like creature not unlike Bigfoot. This "proof" takes the form of a few strands of gray hair and some tracks in the snow, but similar claims have come up short in the past. Some Sasquatch claims have even been brazen hoaxes, such as a 2008 press conference in which two Georgia men claimed to have the body of Bigfoot in a freezer. The "corpse" turned out to be a rubber ape suit. "During the expedition to the Azasskaya cave, conference participants gathered indisputable proof that the Shoria mountains are inhabited by the 'Snow Man,'" a spokesman for the region told LiveScience's sister site Life's Little Mysteries. "They found his footprints, his supposed bed, and various markers with which the yeti uses to denote his territory." No word on where the supposed yeti went or why researchers didn't stick around with cameras. Unlike the Cyclops shark, it seems this yeti finding may not stand up to scrutiny.